In The Loop: 6/29/13. Hey! Twisted Firestarters! Getting right into events, here are a few non-Independence-Day-related things to go check out. 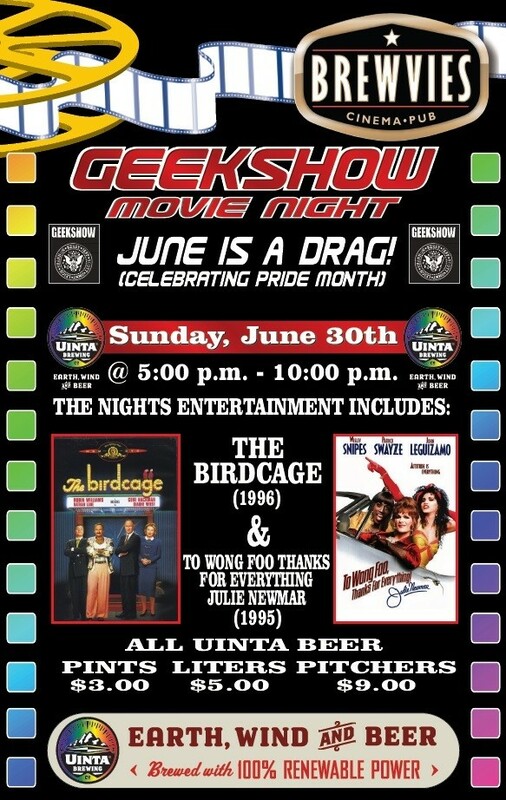 Tomorrow at Brewvies, the Geekshow Podcast will present another free-movie night, this time celebrating Pride Month (as well as the Prop 8 and DOMA rulings) by having a pair of fabulous films to riff on: The Birdcage and To Wong Foo, Thanks For Everything! Julie Newmar. As always, the films are free, but the drinks and food are not; movies kick off at 5. 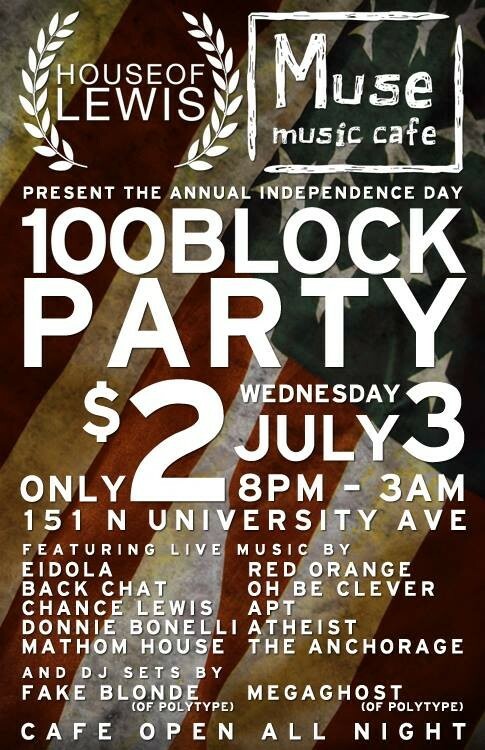 The day before July 4, Muse Music Cafe will play host to the annual 100 Block Party in downtown Provo. 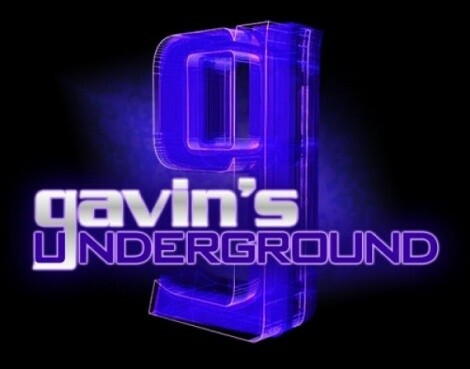 Aside from having 10 bands filling the bill, all hosted by the House Of Lewis crew, there's bound to be a cook-off of some kind somewhere nearby, and other activities planned within the cafe itself. And for $2, that's a hell of a steal for anyone not doing anything the next day! If you're in Provo, you'd do well to attend. While I'm on Provo, this Friday is the latest installment of the Rooftop Concert Series. This time, it's another one of those giant band showcases thrown together by Ryan Tanner, featuring the music of the Rolling Stones! 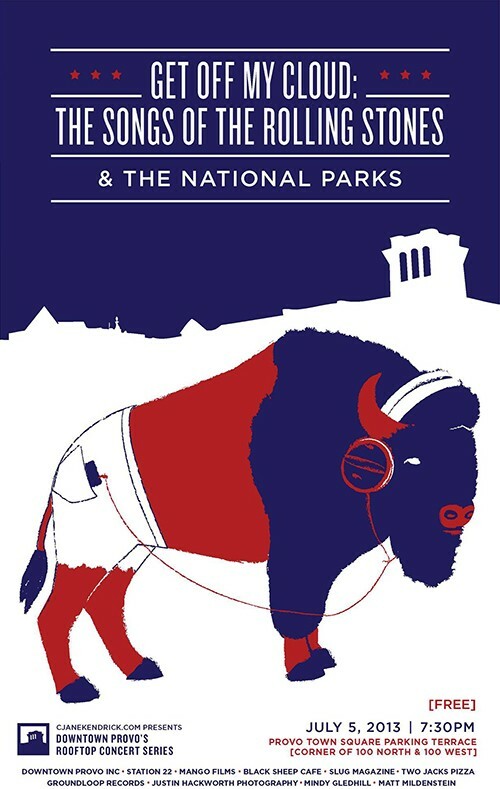 The evening will have guests like Ryan Innes, Joshua James, Stuart Maxfield (Fictionist), Scott Vance (The New Electric Sound), Cristal Ramirez (The Blue Aces), as well as members of Neon Trees, Lower Lights, Mideau, The Hollerin' Pines and more, along with The National Parks opening -- all totally free! Don't forget the Provo Gallery Stroll happening before that, and then the after-party at Muse Music. 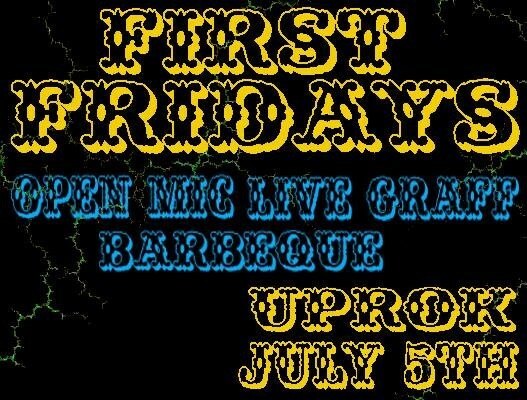 Meanwhile in SLC on July 5, Uprok is looking to start throwing First Friday parties, this one featuring an open mic for anyone looking to drop some rhymes, as well as a BBQ. If you're gonna have a party the day after the 4th, it might as well be on State Street. On Saturday, The Complex, along with U92, will be presenting the final round of the Homegrown Hip-Hop Championship. 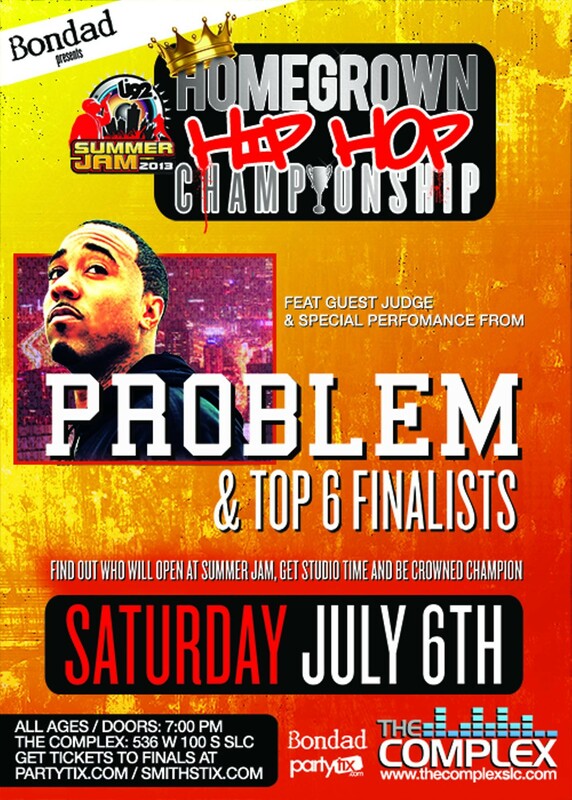 Guest judge, rapper Problem, in addition to his special performance, will be on hand to decide who of the the six finalists will win the right to open the stage at Summer Jam 2013, earn some professional studio time, video production and 100 printed and recorded CDs. (Wait, seriously -- only 100? For a prize this big, you'd think there would be 1,000, at least.) If you wanna check this our, it's $16; go root for some hometown favorites. The rest of next week kinda gets dull, aside from plenty of concerts, but then on Friday, July 12, the Damn These Heels! Film Festival returns for its 10th Anniversary! And it's doing its best to celebrate in style, with double the screenings in a brand-new venue: The Rose Wagner Theatre! 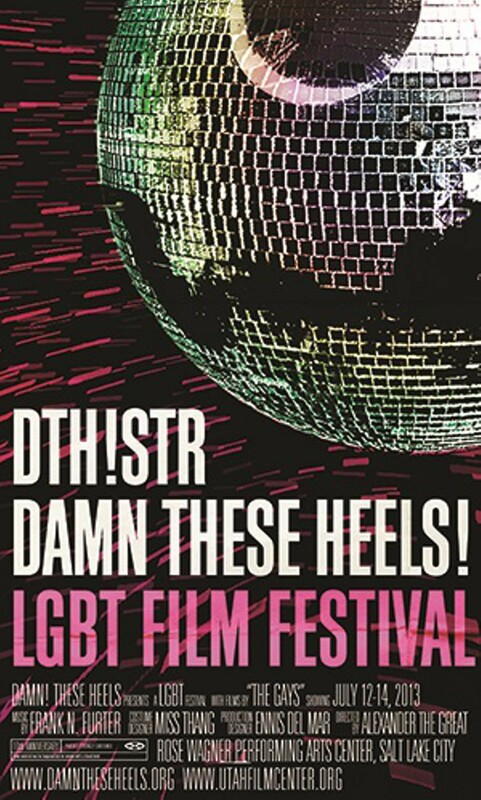 Plus, the introduction of the Audience Choice Award, the first time that this type of award will be used to give the audience a chance to vote on their favorite LGBT films. Check out the Utah Film Center's website for more information and showtimes, as well as to purchase tickets. 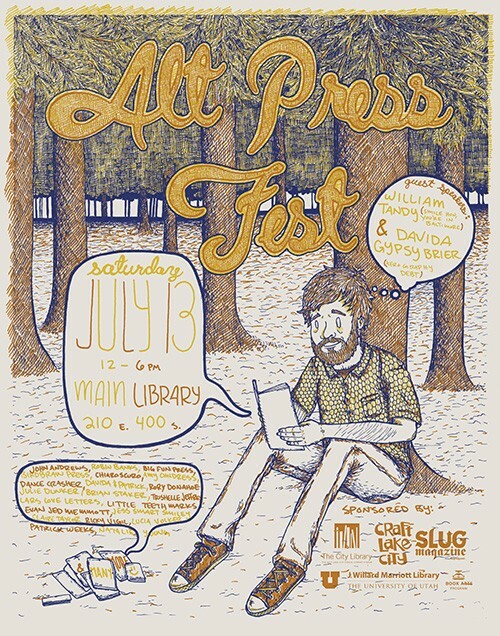 And then finally on July 13, two weeks from today, the Alt Press Fest takes over the Main Library again. You're going to see dozens of local zine makers and completely independent publishers and crafters, most likely some music and performances that haven't been announced yet. This year will feature two special guests to talk about zine culture: Davida Gypsy Brier (Xerography Debt) and William Tandy (Smile, Hon, You're In Baltimore). It should be an awesome event to check out; be sure to take some cash to purchase some local materials. As for the blog: Over the next couple of weeks. I'll look back on CrucialFest, chat with a stand-up comedian, look at a local clothing line, interview an artist and an artistic movement and check out a local record company. At least, that's the plan for now; as always, we'll see what happens.